The extra-long 2m cable is long enough to ensure that you can mount the microphone in as many different positions as possible, and the handy crocodile clip included means that the microphone can be mounted easily on clothes, outdoor gear or in car. 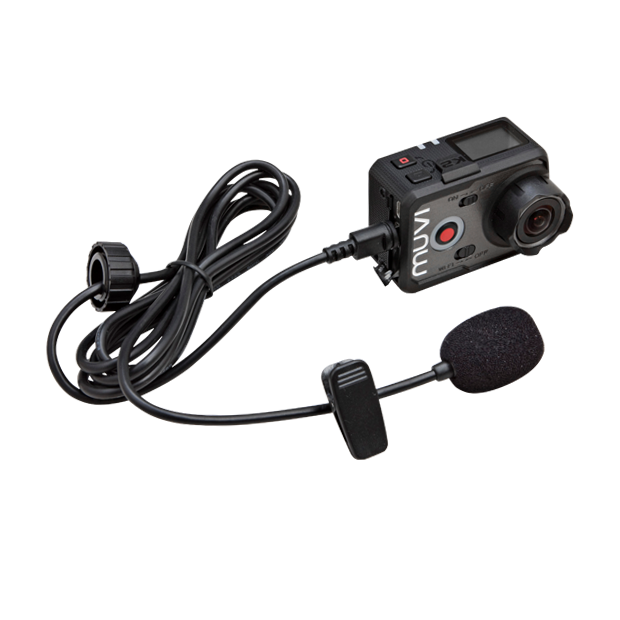 The Muvi K-Series external microphone also comes with a screw cap that secures to the external cap of the K-Series waterproof case to ensure that the microphone stays in place when the camera is in the protective housing. Please note that the microphone isn't waterproof and your case will not be waterproof.